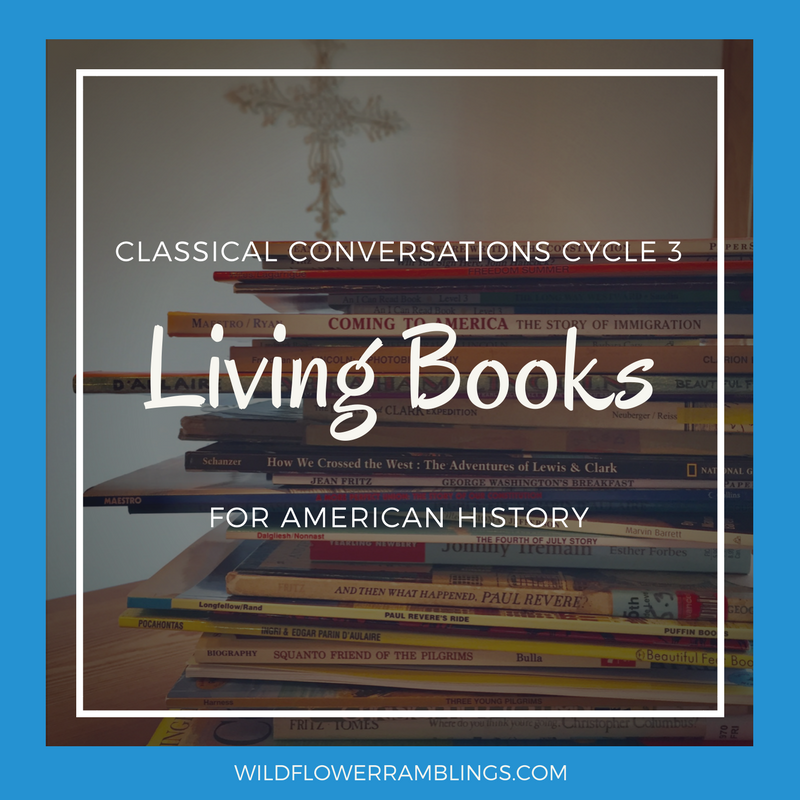 I am thrilled to bring you a list of living books, by week, for American History that can be used with Classical Conversations Cycle 3. I love the relationships and community that my family has been so richly blessed with from our Classical Conversations community. It has taken me a while to get used to the fast-paced memorization. For us, this is a glimpse of the feast of education our children will receive. Because, at least for me, the core of our learning is at home, on the couch, reading stories. 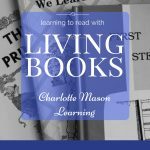 Though we are personally adhering to a stronger Charlotte Mason style in our homeschooling, I do believe there is great value in recitation and memorization if paired with living history books. 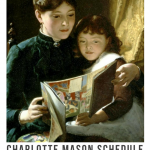 Charlotte Mason’s method consisted of requiring narration after reading short passages together slowly and deliberately. 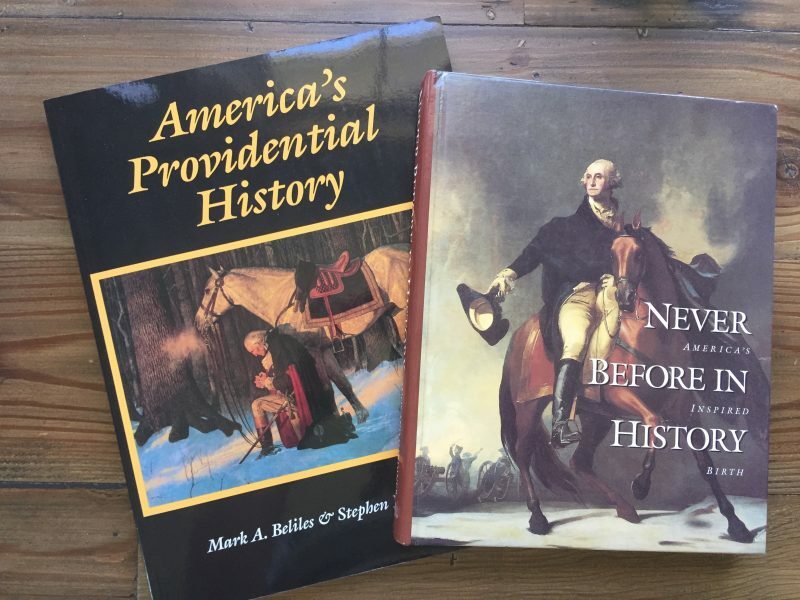 Of course our American History Living Books reading list is not exhaustive. There are many other important figures that are not touched on through the Classical Conversations Cycle 3 memory work. Native Americans, Black Americans, and women are all not sufficiently discussed or recognized, as well as the important stories of Benjamin Franklin, Frederick Douglass, the Wright Brothers, Clara Barton, Buffalo Bill, the lives of slaves and freedmen, Elizabeth Cady Stanton, Susan B. Anthony and the suffrage movement, oh I could name many, many more. 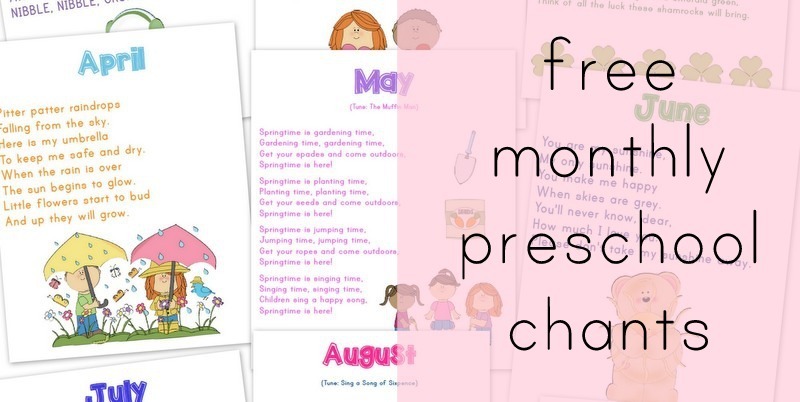 My ultimate goal in creating this list is to see what books I will want my own children relish and reflect upon as they grow through their elementary years. And I realized some sections of history that our own personal library is lacking in, as well as other time periods where it was very difficult to find living books, or any children’s books, on the subject. Books are not meant to be read and “checked off a list,” so I truly hope that when selecting books, we don’t reading them quickly just to do it for the sake of doing it, or having “one per week”. Instead, my wish is that you will carefully select perhaps four to six books from this lists, and also perhaps This Country of Ours (listed in the spine section just below), and savor each word, savor each chapter together. 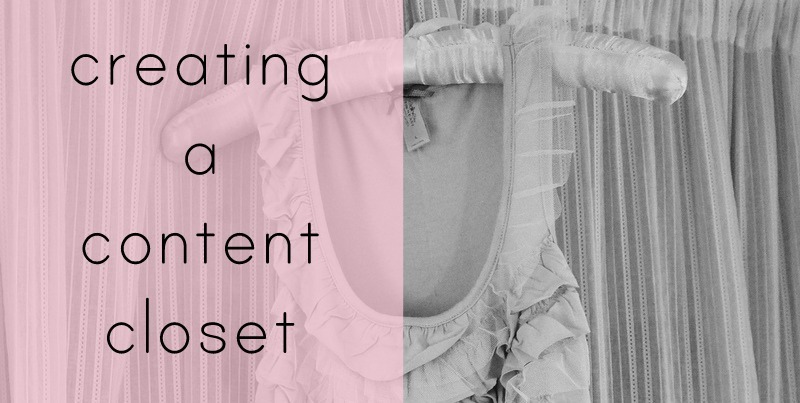 Our goal as parents is to feed our children with information, of course, but we also should help them create context and relationships within that information. 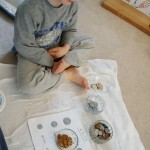 How do children learn best? The same way we all do – through a good story. Many of the books below are historical non-fiction stories, but many still are fiction stories to tell a story of that specific time period. These are the stories our children will remember. To begin, Beautiful Feet Books has a beautiful Early American History Primary and Intermediate Packs. 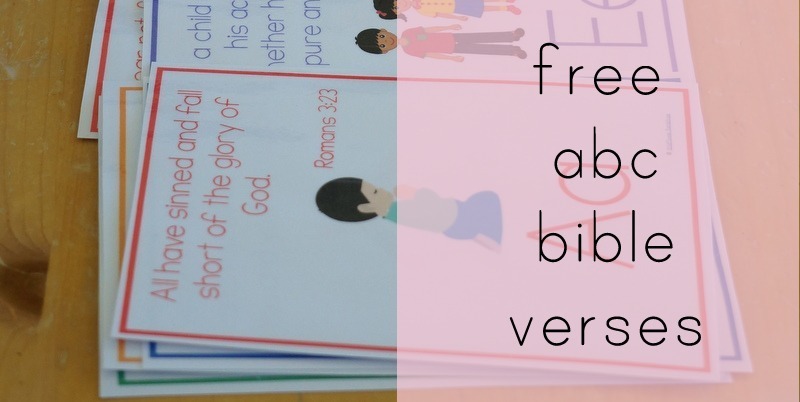 These books are put in order for you with a lovely guide designed to help you and your child journal through history together. Their guides are lovely, and the literature choices cannot be beat! I have scoured many of theses books and many are discussed below. Leif the Lucky by Ingri and Edgar Parin D’Aulaire: I highly recommend all of the D’Aulaire classics. The beautiful illustrations tell the story of Norseman Leif and his father Erik the Red. This book details his conversion to Christianity and subsequent travels to what is now North America. 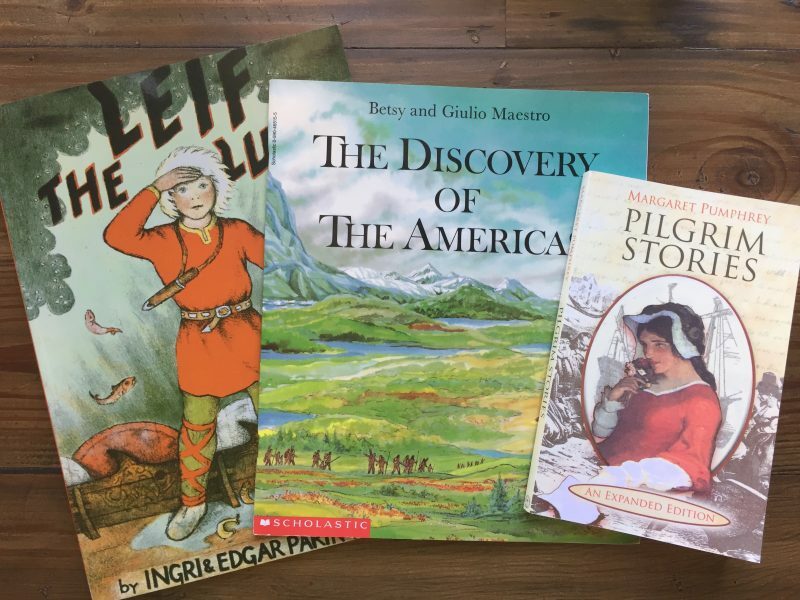 Discovery of the Americas by Betsy and Guilio Maestro: I love how this book tells about all of the explorers before Columbus using lovely illustrations and living prose. Each of the European Explorations are briefly discussed: Dias, Vespucci, Balboa, Magellan, and Coronado. Pilgrim Stories by Margaret Pumphrey: This book beautifully shows the struggle and plight of the pilgrims through their persecution in England, then as they travel to Holland, and finally in their decision to travel to the New World. America’s Providential History by McDowell and Beliles: Whenever I pick this book up, I cannot put it down. Our great country is rich with the Providential hand of our great God and this book writes how the Magna Carta, Martin Luther, and John Calvin (and many more key figures and moments) all had a role in the development of our great nation. Never Before in History by Richard Gardiner and Gary Amos: Another book that summarizes why the United States was formed and succeeded given the many influences over the centuries before its birth. I don’t know which one I prefer (this or America’s Providential History), but I appreciate that this beautiful collection includes many first source documents for the reader. I received this as a gift from my grandmother when I graduated from high school. Funny thing that it is now that I appreciate it most. Thank you Grandma! This Country of Ours by H.E. Marshall: This book is amazing, as is Marshall’s previous edition Our Island Story about the history of Great Britain. We will be listening to this classic book for free on burned discs using the free Librivoix version! I highly recommend reading one chapter at a time and having your child narrate back what was read, and doing so with about 1-2 chapters per week. American History Stories by Mara Pratt are also lovely stories, especially for younger children. Though I have not read this version, I have heard it has less to omit (“savages”, etc.) I’m excited to read it, as we just ordered it ourselves! America First: One Hundred Stories from Our Own History by Lawton Evans and illustrated by the amazing Milo Winter (think his beautiful Aesop’s Fables collection) is another beautiful compilation that I have been eyeing and of which I’ve heard wonderful things! If you find an older copy don’t pass it up. Stories of Great American for Little Americans by Edward Eggleston: This lovely little volume was written in the late 19th century, but is relevant to our memory work about the United States today. It includes 49 stories of leading figures in American History to include Washington, Franklin, Audobon, and many more. 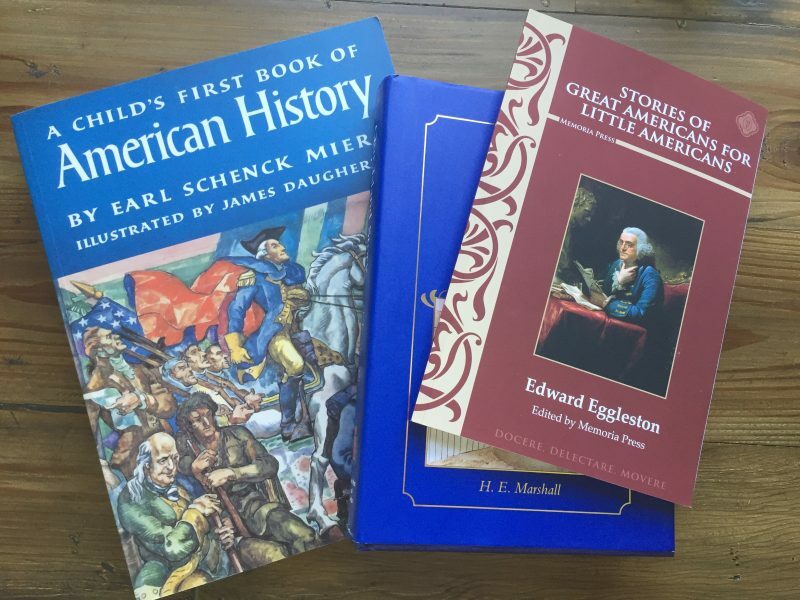 A Child’s First Book of American History by Earl Schenck Miers: This beautiful history book, illustrated by the incomparable James Daugherty, contains short 2-4 page chapters on many of the key moments in America’s history, many that are included in the memory work. An absolute delight to read for the elementary student. 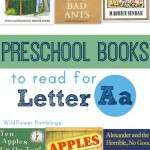 **The books listed below are appropriate for most ages. 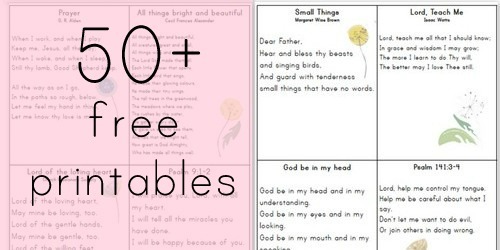 I have tried to list them for younger grades first, followed by for older elementary students. 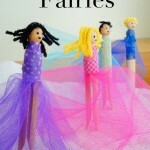 Of course use your own discretion when selecting books to read with your children. Enjoy! 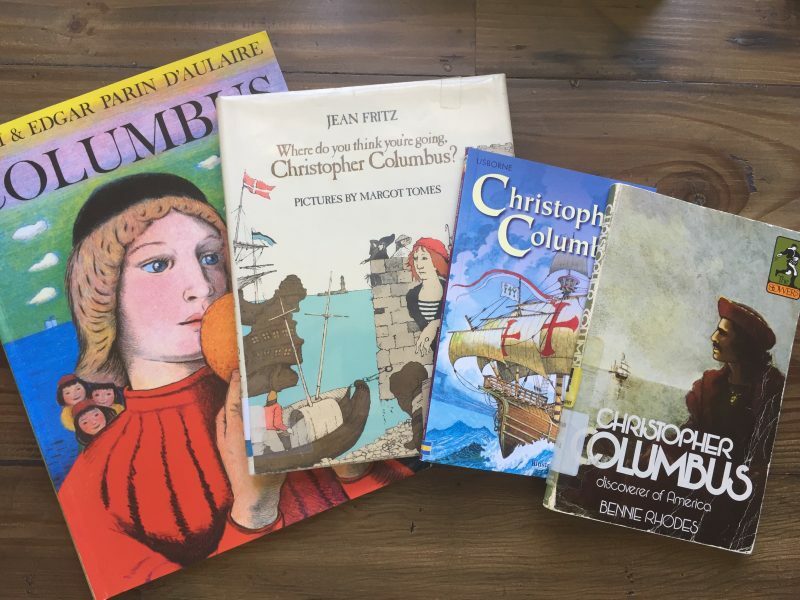 Christopher Columbus by Ingri and Edgar Parin D’Aulaire: Including many unknown details about the great explorer, the D’Aulaires’ volume on Columbus is as vibrant as it is thought-provoking. Where do you think you’re going Christopher Columbus? by Jean Fritz: Columbus thought he was to find gold and spices in the Indies when crossing the Atlantic, but when he discovered a New World, he aimed to continue going back. Fritz’s biographies shine with detail and legend. Christopher Columbus by M. Lacey: Columbus sets sail across the Atlantic into the unknown in this easy reader. Christopher Columbus, Discoverer of America by Bennie Rhodes: A biography of Christopher Columbus that reads in first person, detailing his desire to bring the Christian faith to new lands. Pictured are but a few of the selections I have listed. The Pilgrims of Plimoth by Marcia Sewall: Beautiful illustrations accompany first person text to create the daily struggle and triumphs of the first Pilgrim colonists. 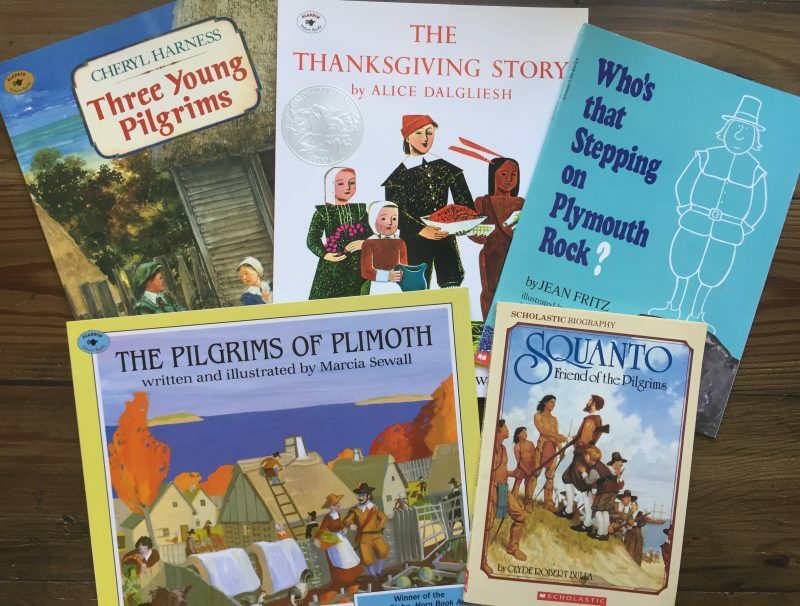 The Thanksgiving Story by Alice Dagliesh: This lovely book shares the story of the Pilgrims from their Mayflower Voyage through their treaty with the Native Americans and the first Thanksgiving feast. Three Young Pilgrims by Cheryl Harness: This sweet picture books shares the first hand account of three fictional Pilgrim children. Who’s That Stepping on Plymouth Rock? by Jean Fritz: Another volume by Fritz looking at the history of the rock the Pilgrims landed on. Squanto, Friend of the Pilgrims by Clyde R. Bulla: The story of the kind-hearted Native American who befriended the settlers and Pilgrims and was betrayed by greedy men. A beautiful story of character and survival. The Landing of the Pilgrims by James Daugherty: Only a few survived in this vivid account of the hardships the first Pilgrims went through during their voyage, settlement, disease, and first winter. Their faith in God helped create stepping stones to our great Nation today. **It’s important for children to understand the distinction between the Jamestown settlement, which had its beginning in 1607 when 104 Englishmen arrived in North America, and the Pilgrims at Plymouth who landed in 1620. Jamestown settlement was named for King James I and its purpose was furthering his wealth and monarchy. 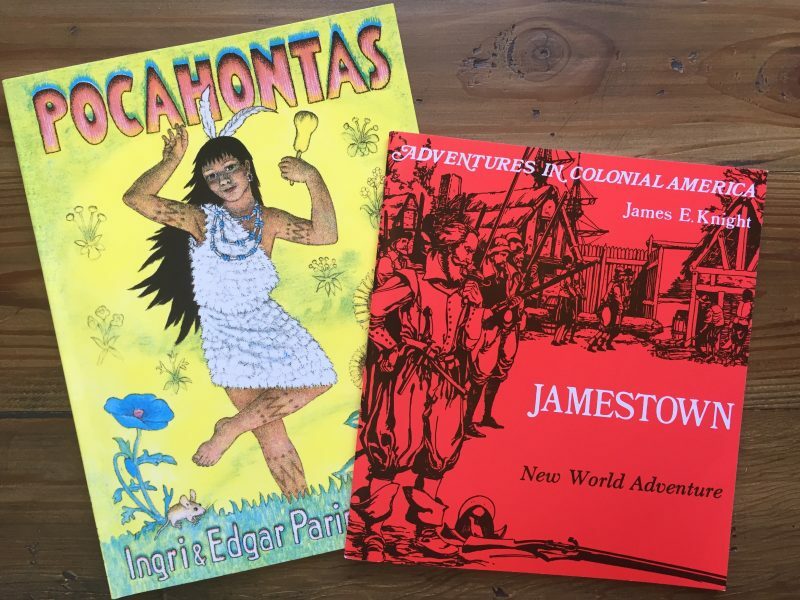 Pocahontas by Ingri and Edgar Parin D’Aulaire: Told from the young princess’ perspective and with beautiful vibrant illustrations, this true story comes to life vividly for young ones. Pocahontas and the Strangers by Clyde Robert Bulla: The story of the young Powhatan girl who saved John Smith. Jamestown, New World Adventure by James Knight: The tale of two children who learn of how their grandfather was a carpenter and one of the first Jamestown colonists. They learn of the harsh conditions that were endured during the beginning of the American settlement. The Story of Jamestown, Cornerstone of Freedom by Marilyn Prolman: Classic story book details the story of the hard voyage and difficult living conditions in the settlement of Jamestown. A Lion to Guard Us by Clyde Robert Bulla: The inspiring story about one girl who brought her family to Jamestown to find their father who sought work in America. Paul Revere’s Ride by Henry Wadsworth Longfellow: April 18, 1775 after the Boston Tea Party, but essential to the Story of the Revolution. Sam the Minuteman by Nathaniel Benchley: Another beautiful reader that tells the story of the Revolution at the battle of Lexington and Concord (1775), also see George the Drummer Boy by Nathaniel Benchley. Toliver’s Secret by Esther Wood Brady: A ten year old girl must bring a secret message through enemy lines during the Revolutionary War. And Then What Happened, Paul Revere? by Jean Fritz: The story of Paul Revere’s famous ride told by brilliant story-teller Jean Fritz. Mr. Revere and I by Robert Lawson: Story of Revere’s horse who nobly and admirably helped him complete his mission. America’s Paul Revere by Esther Forbes: Vivid story with beautiful illustrations and longer text. Guns for General Washington by Seymour Reit: The true story of young Will Knox who was tasked with transporting cannons from New York to Boston. A Young Patriot: The American Revolution as Experienced by One Boy by Jim Murphy: Short stories from the viewpoint of one young man during the time of the Revolutionary War. 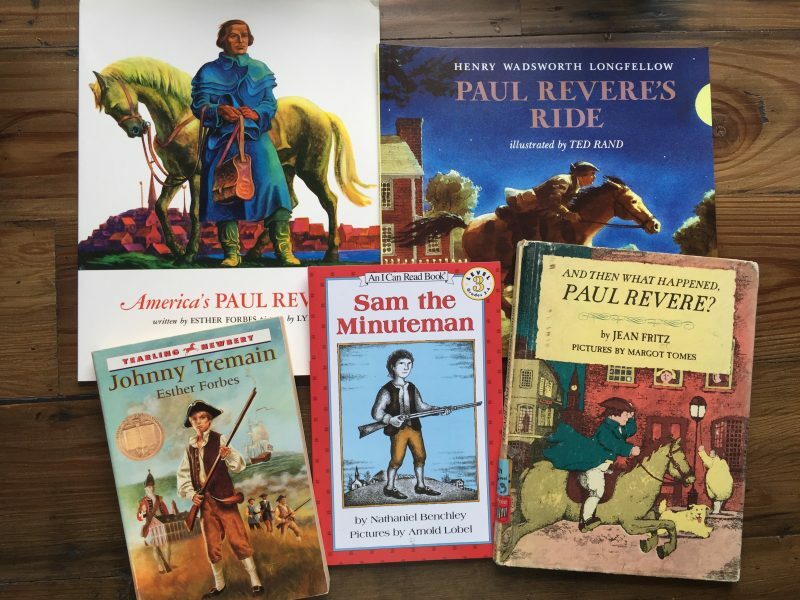 Johnny Tremain by Esther Forbes: A young apprentice in Boston during the American Revolution, includes the Tea Party, Paul Revere, and Battles of Lexington and Concord. Would be a lovely read aloud. Early Thunder by Jean Fritz: Lovely fiction story that shows the growing violence between the Tories and Patriots, set in 1774, just after the Boston Tea Party. 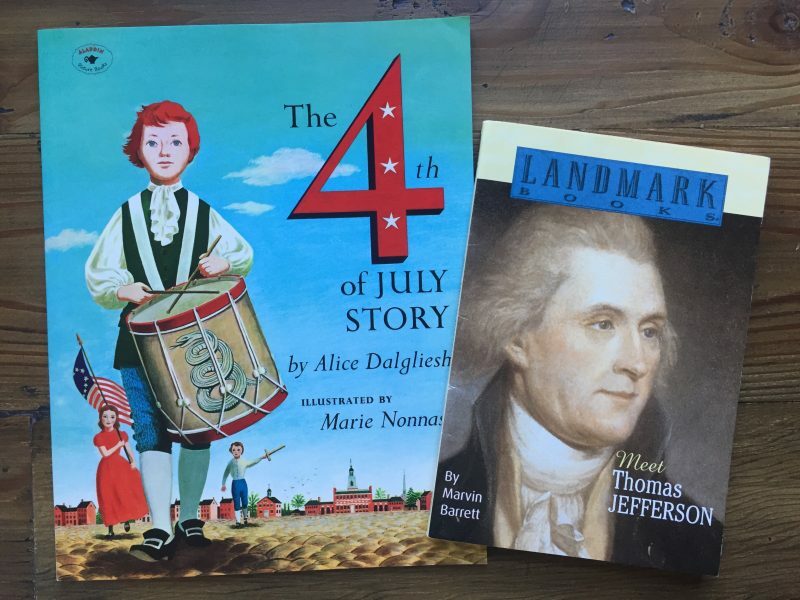 The 4th of July Story by Alice Dalgliesh: Story of the 13 colonies and how they united and selected Thomas Jefferson to pen the Declaration of Independence. The Story of the Declaration of Independence: Cornerstones of Freedom by Conrad R. Stein: Detailing the defining moment in history in this living book. Give Me Liberty! The Story of the Declaration of Independence by Russell Freedman: This book describes the events leading up to the signing and politics of the Declaration of Independence. Meet Thomas Jefferson, Landmark Book by Marvin Barrett: This biography shares the story of Jefferson as a young colonist, a lawyer, and finally how and why he came to write the Declaration of Independence and became the third President of the United States. George Washington by Ingri and Edgar Parin D’Aulaire: A beautiful account of Washington’s childhood through his reluctance to become the first President of the United States of America. Phoebe the Spy by Judith Berry Griffin: Story of young black girl who saved George Washington during an assassination plot. 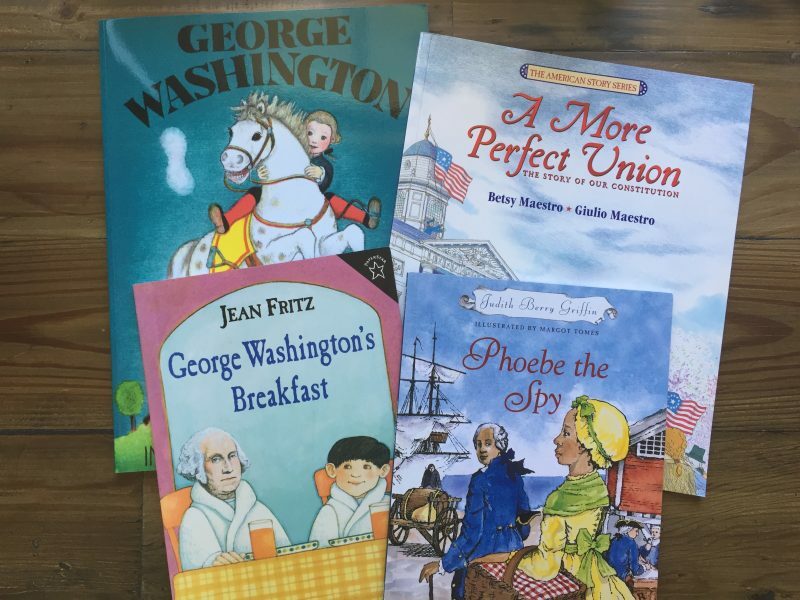 George Washington’s Breakfast by Jean Fritz: A young boy of the same name seeks to find out what George Washington ate for breakfast. A More Perfect Union by Betsy and Giulio Maestro: An introduction to the Constitution with illustrations and a lovely overview. Meet George Washington, Landmark Book by Joan Heilbroner: This biography shares the story of the young Washington who grew up in the English colony of Virginia and became the great General, and finally, reluctantly, the first President of the United States. Lewis and Clark and Me: A Dog’s Tale by Laurie Myers: The dog’s account of the expedition of Lewis and Clark in this vibrant picture book. The Incredible Journey of Lewis & Clark by Rhoda Blumberg: The journey that took Lewis and Clark to the unknown western regions of America. Dog of Discovery: A Newfoundland’s Adventures with Lewis and Clark by Laurence Pringle: At the turn of the 19th century, Lewis and Clark’s expedition is joined by Seaman, the Newfoundland dog who joined them through the west. Davy Crocket: Frontiersman and Indian Scout by Hazel Davis: A nice picture book with vivid images. Land Beyond the Setting Sun by Tracy M. Leininger: Lewis and Clark picture story book from the viewpoint of Native American Sacajawea. Sacajawea by Joseph Bruchac: Captured and married, 16 year old Sacajawea meets Lewis and Clark and begins a journey that will change the course of history. Path to the Pacific: The Story of Sacagawea by Neta Lohnes Frazier: Detailing Sacagawea’s kidnapping as a young girl through her aid in helping Lewis and Clark’s expedition, Frazier puts her life in remarkable detail. 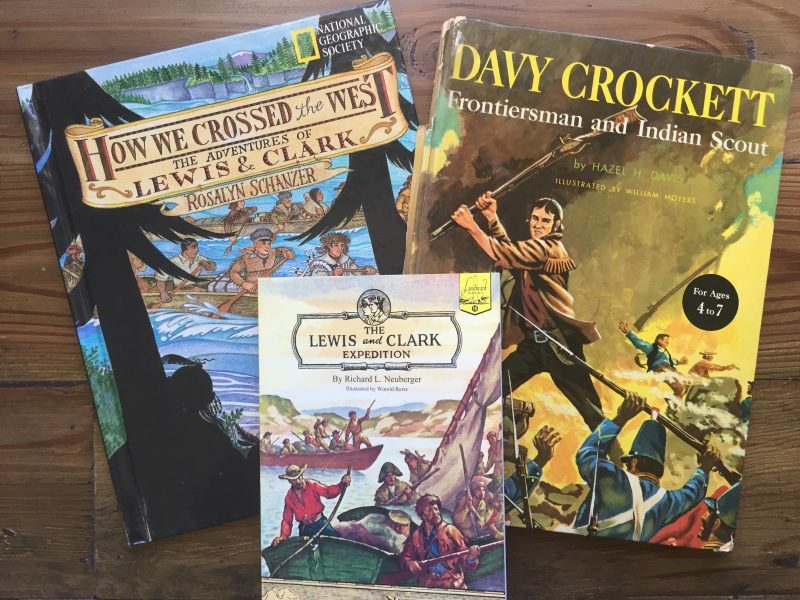 How We Crossed the West: The Adventures of Lewis & Clark by Rosalyn Schanzer: Artful and descriptive text contains portions of the journals of Lewis and Clark. Davy Crockett: Young Rifleman by Aileen Wells Parks: Focusing on the childhood of the frontiersman and Soldier Davy Crockett. The Louisiana Purchase, Landmark Book by Robert Tallant: Wonderful detailing of the Louisiana Purchase in this living book. The Lewis and Clark Expedition by Richard Newberger: A detailed and lively account of their adventure. The Star Spangled Banner by Peter Spier: The national anthem of the United States was written by Francis Scott Key following his witness of the bombardment of Fort McHenry by British ships — Key’s inspiration was the grand ol’ flag. Washington Ablaze: The War of 1812 by Randy Schultz: This book details the War of 1812, when the United States declared was on Britain over trade restrictions that were due to the Napoleon War with France. The Missouri Compromise by Michael Burgan: This book describes the conflict over the effort by Congress to end rivalries over requesting Missouri to become a slave permitting state. The Great Turkey Walk by Kathleen Karr: A teenage boy herds one thousand turkeys from Missouri to Denver in 1860. Though this book does not relate to the Missouri Compromise, it is a pleasant historical fiction adventure read. Zachary Taylor and Millard Fillmore by Mike Venezia: Two small books detailing the two presidencies during the time of the Compromise of 1850, that is, when five bills passed by Congress to defuse a four year confrontation between slave and free states regarding territories acquired during the Mexican-American War (1846-1848). **I would suggest reading about these events in This Country of Ours. James K. Polk by Mike Venezia: Westward expansion and the purchase of Texas is all discussed in this little biography, including touching on Manifest Destiny, that is, the occupation of North America was a divine right of the American People. Bound for Oregon by Jane Van Leeuwen: The journey made by nine-year-old Mary Ellen Todd and her family from their home in Arkansas westward over the Oregon Trail in 1852. Only the Names Remain: The Cherokees and the Trail of Tears by Alex W. Bealer: From 1837 to 1838, thousands of Cherokee Indians were forced to march from their homelands in Georgia to live in exile in Arkansas. Fighting bitter cold and blazing heat with little food or water, one out of every four died. A sad, but moving account of the Trail of Tears. Abraham Lincoln by by Ingri and Edgar Parin D’Aulaire: A poignant and beautiful portrayal of the young Abe and the President Abe through his childhood, lawyer years, and the flawed President. Louisa May’s Battle by Kathleen Krull: Louisa May Alcott, best known for writing Little Women, was a war-time nurse during the Civil War; this time of healing others inspired her to write her classics later in life. Across Five Aprils by Irene Hunt: Story of a young man whose story spans five years during the Civil War. Shades of Gray by Carolyn Reeder: A young boy is orphaned during the Civil War and must discover forgiveness and courage. 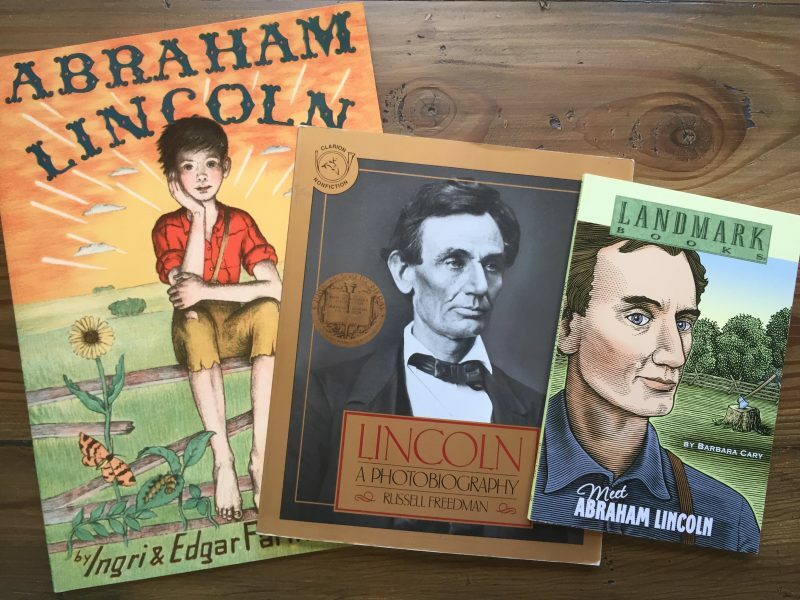 Meet Abraham Lincoln, Landmark Book by Barbara Cary: Biography of the 16th President of the Unites States, utilizing illustrations and examples of his life and accomplishments. Lincoln, A Photobiography by Russell Freedman: Freedman begins with Abraham Lincoln’s boyhood, his career as a country lawyer, and his courtship and marriage to Mary Todd. Then the author focuses on the presidential years, and finally, a chapter on his assassination at Ford’s Theatre on April 14, 1865. William Wilberforce by John Holzman: A look at the man who contributed to Britain’s abolishment of slavery, without bloodshed. Robert E. Lee, Young Confederate by Helen Albee Monsell: This biography focuses on Lee’s childhood and the man who would command the Confederate Army during the Civil War. With Lee in Virginia by G.A. Henty: The story of Vincent, a boy of 15 years, who returns to America after being in England for schooling – though his family are slave owners, he believes in the rights of slaves. He, however, joins the Confederacy as Henty show the conflict from a Southern perspective. 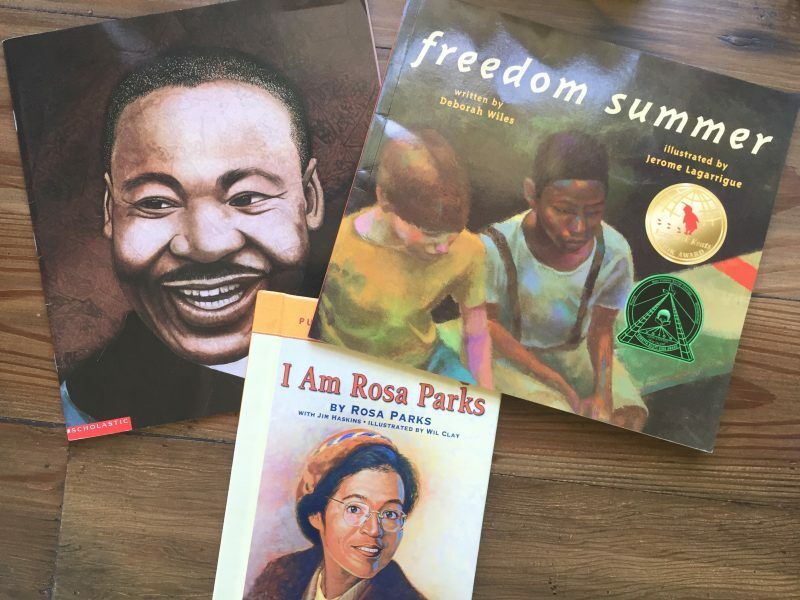 **I highly recommend reading books about African American history with our children; for what is history without knowing all sides, the truth in its triumphs and ugliness? Heart and Soul: The Story of American and African Americans by Kadir Nelson is the award winning story of hope and inspiration and unwavering courage of many who were persecuted in our dark history of slavery and racism. It shines light on those who helped our country achieve liberty and justice for all. Second, a collection of history stories in Many Thousand Gone: African Americans from Slavery to Freedome and a compilation of tales in The People Could Fly: American Black Folktales, both written with grand acclaim, by Virginia Hamilton and illustrated by Leo and Diane Dillon. Henry’s Freedom Box by Ellen Levine: The story of Henry Brown, a young slave who does not know his birth – this touching tale of the Underground Railroad takes him through an arduous journey to freedom. Sweet Clara and the Freedom Quilt by Deborah Hopkinson: The story of Clara, who dreams to be reunited with her mother who is a slave on another plantation. Go Free or Die by Jeri Ferris: Grandma Moses, Harriet Tubman, led many people out of the bonds of slavery. Walking the Road to Freedom by Jeri Ferris: The story of Sojourner Truth who preached the Gospel in pre-Civil War America. Freedom Train by Dorothy Sterling: Biography of Harriet Tubman who risked her life freeing slaves along the Underground Railroad. Roll of Thunder, Hear My Cry by Mildred D. Taylor: A powerful look at post-Civil War South from the perspective of a young girl. A must read for ages 10 and up. Elijah of Buxton by Christopher Paul Curtis: Curtis is a master in his craft and I recommend all of his books, this novel tackles the very difficult topic of slavery from a child’s perspective. Elijah is the first child born in free Ontario who encounters the horrific details of slavery with emotion and care. Brooklyn Bridge, Empire State Building, Hoover Dam all by Elizabeth Mann: A look at the development of major constructions in America. Prairie School by Avi: Nine year old Noah lives on the Colorado prairie and is taught by his aunt, much to his reluctance and then glee. **For parents: The Tycoons, How Carnegie, Rockefeller, Gould, and Morgan Invented the American Supereconomy by Charles R. Morris: This book explores the capitalism, industrialization, urbanization, organized labor, and inventors in this Gilded Age. The Tycoons manipulated currency and the market, but it concludes that ultimately, particularly because it was post-Reconstruction and included the conquering of the West, their greed resulted in American primacy. Meet Theodore Roosevelt by Ormonde De Kay, Jr.: This delightful picture book is a nice introduction to President Roosevelt. Bully for You, Teddy Roosevelt by Jean Fritz: Fritz, once again, masterfully brings to life her topic of the 26th President as a Conservationist, hunter, family man, and politician. Teddy Roosevelt, Young Rough Rider: Childhood of Famous Americans by Edd Winfield Parks: This biography focuses on Teddy’s childhood, focusing on his lifelong love of nature and desire for the conservation of natural resources. Coming to America, The Story of Immigration by Betsy Maestro: This book by the always superb Maestro explores the history of immigration in the United States. A delightful picture book that does not oversimplify its subject matter. When Jessie Came Across the Sea by Amy Hest: Story of a young girl who leaves her poor village and her family in Eastern Europe for a new life in New York City. 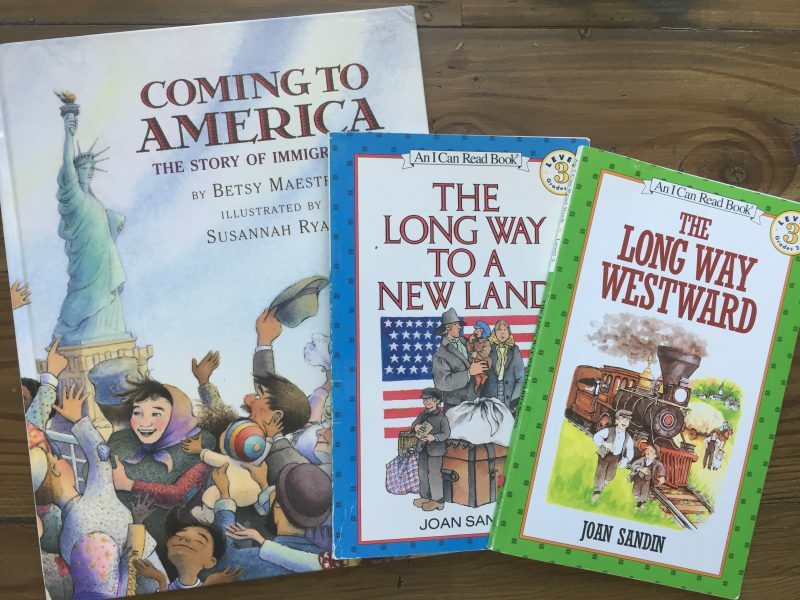 The Long Way to a New Land and A Long Way Westward by Joan Sandin: These easy readers follow an Irish family in their migration to a New Land. Only a Dog: A Story of the Great War by Bertha Whitridge Smith: Retelling of World War 1 through the eyes of an Irish terrier – based on a true story and encourages good character with poignant, memorable detail. Hero Over Here: A Story of World War I by Kathleen V. Kudlinski: Theodore learns about heroism during the flu epidemic at the end of World War I. War Horse by Michael Morpurgo: Joey, a young foal is sold to the army and thrust into the war – Joey’s courage touches the soldiers around him, but his heart aches for his master Albert, now a motion picture. Pearl Harbor Child by Dorinda Makanaonalani Nicholson: The author was only six when she saw the attack on Pearl Harbor unfold in her front yard. Pearl Harbor by Stephen Krensky: Bringing historic importance to the military action leading up to and following the horrific Pearl Harbor attack. Early Sunday Morning: The Pearl Harbor Diary of Amber Billows by Barry Denenberg: Amber befriends a Japanese immigrant in her new home of Hawaii. She writes about increasing anti-Japanese sentiments. A Boy Named FDR by Kathleen Krull: Story of Franklin D. Roosevelt’s childhood and early life in politics through his success as President of the United States. The Little Riders by Margaretha Shemin: Set in Nazi-occupied Holland during World War II, Johanna and her grandparents save the figurines from their church clock. Twenty and Ten by Claire Huchet Bishop: Twenty school children hide ten Jewish children in Nazi France, confronting the ugly side of humanity and embracing acceptance of others. The Winged Watchman by Hilda van Stockum: Historical story of life in Holland during Nazi occupation. Passage to Freedom: The Sugihara Story by Ken Mochizuki: A Japanese diplomat issues visas to Jewish refugees fleeing Nazi Germany. Sadako and the Thousand Paper Cranes by Eleanor Coerr: Tells the story of the atomic bombs from a Japanese young girl’s point of view. Faithful Elephants: A True Story of Animals, People and War by Yukio Tsuchiya: A zookeepers account of his three elephants that were to be put to death for fear that zoo animals would roam free amidst bombings. Required reading the Japanese children. Miracles on Maple Hill by Virginia Sorenson: A War hero dad has returned from WWII as a changed man. The Chestry Oak by Kate Seredy: A triumphant book about Michael, a Hungarian prince, and his family’s trials during the War. Saving Zasha by Randi Barrow: In Stalinist Russia, German shepards are despised, young Mikhail, however, decides to help a young soldier and his dog. Breaking Stalin’s Nose by Eugene Yelchin: Sasha, a 10 year old boy, is excited to be accepted in to the Young Soviet Pioneers, but the night before, his father is taken in the night – he discovers that the country he loves is not all that it seems. I Have a Dream by Dr. Martin Luther King, Jr.: King’s speech is beautifully illustrated by 15 artists; foreword by his wife Mrs. Coretta Scott King. The Story of Ruby Bridges by Robert Coles: The story of the little girl who faces angry mobs of parents as she walks to her desegregated school. Powerfully narrated and illustrated and filled with hope and courage. Freedom Summer by Deborah Wiles: A heartbreaking story about two friends as they face life in their newly desegregated town. The Other Side by Jacqueline Woodson: The story of two young girls who break down the fences of racism and segregation in their town and hearts. 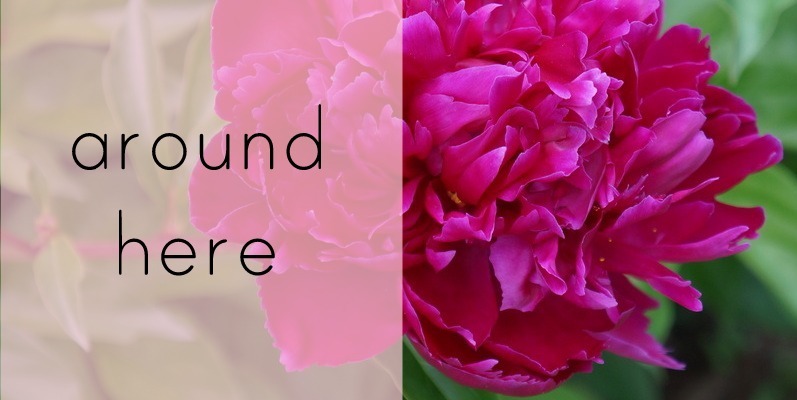 Amazing Grace by Mary Hoffman: When classmates tell Grace that she cannot become the dreams she has harvested in her imagination because of her color, Grace shines. A story of self-affirmation and determination. I am Rosa Parks by Rosa Parks: A lovely easy reader on the life of the brave and courageous Rosa Parks with lovely illustrations. I Have a Dream: The Story of Martin Luther King by Margaret Davidson: Biography of the man who helped change the course of American history, documented with photos and illustrations. The Watsons Go To Birmingham – 1963 by Christopher Paul Curtis: The poignant and comical world of Kenny and his family is turned upside down when they visit their grandmother at the time of the Birmingham Church bombing. Moonshot: The Flight of Apollo 11 by Brian Floca: The story of leaving for the Moon and returning back home – details of the first astronauts and their monumental achievements. The Story of the Moon Landing: Cornerstones of Freedom by R. Conrad Stein: Living account of the moon landing in 1969. The Man Who Walked Between the Towers by Mordicai Gerstein: A beautiful look at the New York City skyscape before that fateful September Day. Fireboat: The Heroic Adventures of John J. Harvey by Maira Kalman: Harvey, an old 1930s fireboat is used in the Hudson River when fire hydrants are inoperable after the September 11th attacks. 14 Cows for American by Carmen Agra Deedy: A story of generosity that crosses boundaries, nations, and cultures from Kenya to the United States. Nine, Ten: A September 11th Story by Nora Raleigh Baskin: The story of four teen strangers, all from separate corners of the U.S. in the two days leading up to 9/11. September 11, 2001, Attack on New York City by Wilborn Hampton: Picture and interviews show an accurate account of the day. America is Under Attack: September 11, 2001: The Day the Towers Fell by Don Brown: Humanizing the stories of the responders, victims, survivors, Brown’s engaging text gives a storyline of the day. Shh! 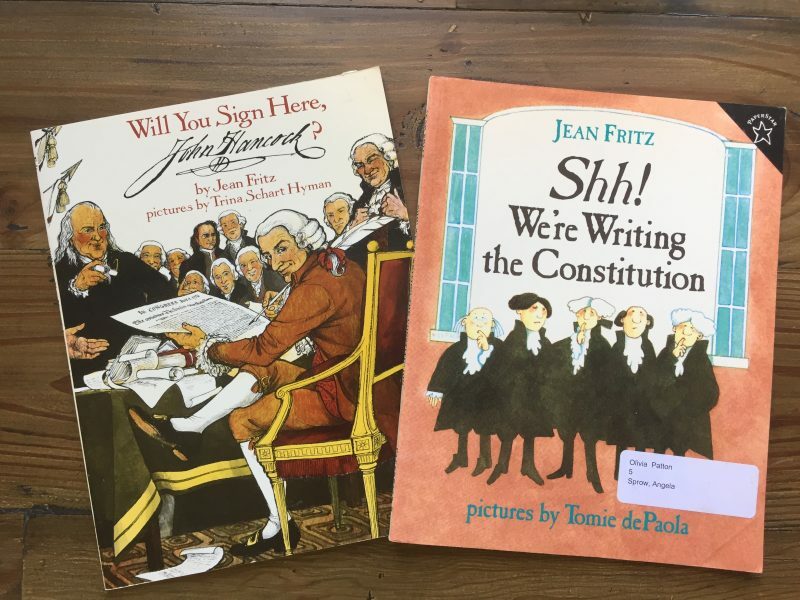 We’re Writing the Constitution by Jean Fritz: Go behind the scenes of the Constitutional Convention of 1787, includes a copy of the Constitution, including signatures, in its entirety. Will You Sign Here John Hancock? by Jean Fritz: Story of why John Hancock signed his name so largely on the historical document – an enjoyable look at history and his character. A Kid’s Guide to America’s Bill of Rights by Kathleen Krull: A nicely illustrated overview of the Bill of Rights. The Bill of Rights: Protecting our Freedom Then and Now by Syl Sobel, J.D. : A short synopsis of the Ten Amendments with accurate and historical content regarding each of them. 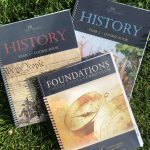 Some of the above books are included in the Early American History Primary Literature Pack and Intermediate Pack from Beautiful Feet Books, which I recommend with or without their guides, if you’d like a wonderful round up of living books from our nation’s discovery to its early foundations and throughout history. Paddle to the Sea: Great Lakes to the Atlantic ocean, travelling with a young Indian boy in a small canoe. 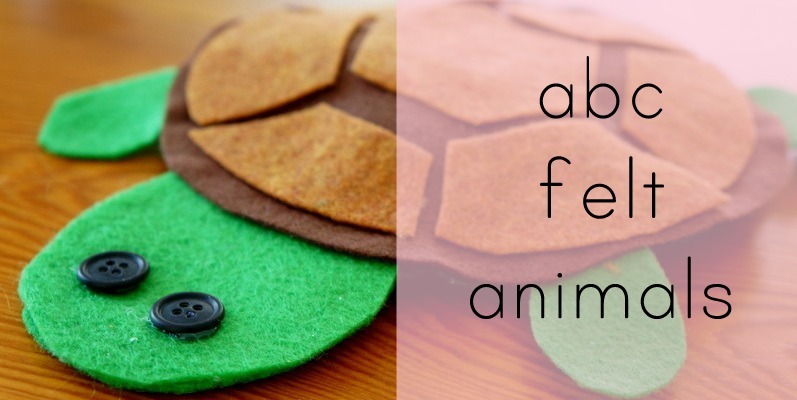 Minn of the Mississippi: History of the Mississippi River as told by Minn, a snapping turtle. Seabird: History of American at sea as told by a seagull. Tree in the Trail: The Great Plains and Santa Fe trail, from the perspective of a cottonwood tree. Pagoo: Study of tide pool life as told by a hermit crab. Download a list of all the books by week! 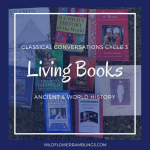 By request I have made a list, by week, for Classical Conversations Cycle 3! 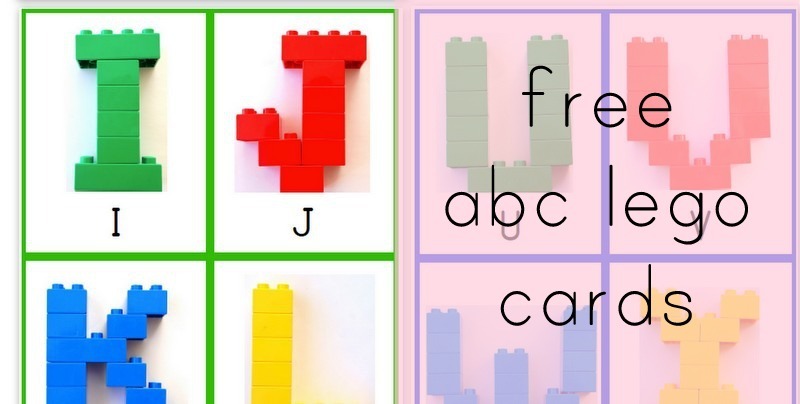 This way, you can print the list out and bring to your library! The books are not linked in the PDF, as that is against affiliate rules, but if you do decide to purchase, please find the books via my links above! Thank you so much for your support! Download the CC3 Living Books List here! We are looking forward to picking just a few of the above American History Living Books, reading them and relishing in them. Narrating slowly and making connections with our memory work. 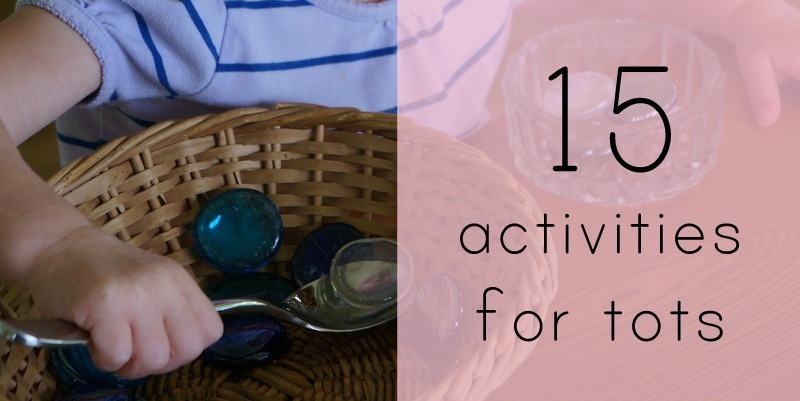 I hope this list has been helpful to you and your homeschooling family. Thank you so much for visiting, blessings. What a wonderful list! Thank you for putting this together! Is there a printable available? 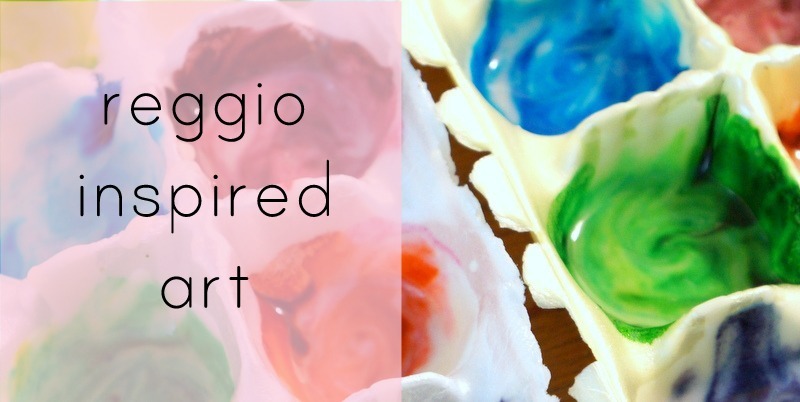 This is an amazing resource you’ve shared, Amy. 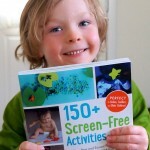 I love the pdf for a quick reference and all the detail you included in the blog post. Over the years, I’ve come to trust your discerning eye for great books so I highly value the time you put into creating and sharing this list. 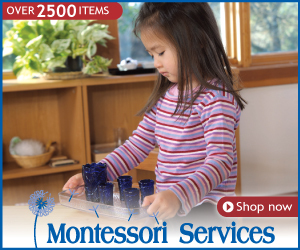 As an afterschooler, I am familiar with Classical Conversations and Beautiful Feet Books slightly. Will we see a Cycle 1 and Cycle 2 list from you in the coming years? Are you starting with Cycle 3? I think I remember reading somewhere Beautiful Feet likes to start history studies with American history. Hi Jennifer! Thank you so much for your kind words! Yes this is my first Living Books list for CC, but I plan to make one of Cycle 1 and Cycle 2 when we come around to them! 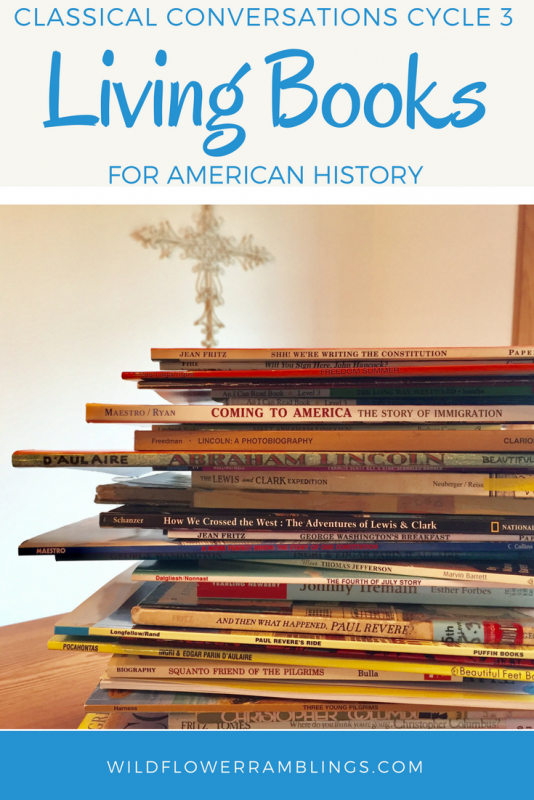 Charlotte Mason recommends that I child start with their own history and then move on from there, so for us we are studying American and British history in our homeschool, though CC touches on Ancient and Medieval in Cycles 1 & 2. I love the community in CC so we will continue to go, though our emphasis at home will be on living books and always reading American or British, even in those cycles. Blessings!! Thanks so much! 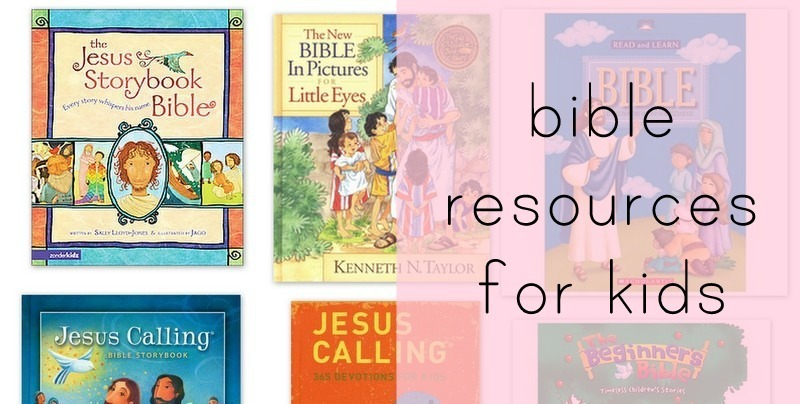 This is a great resources. 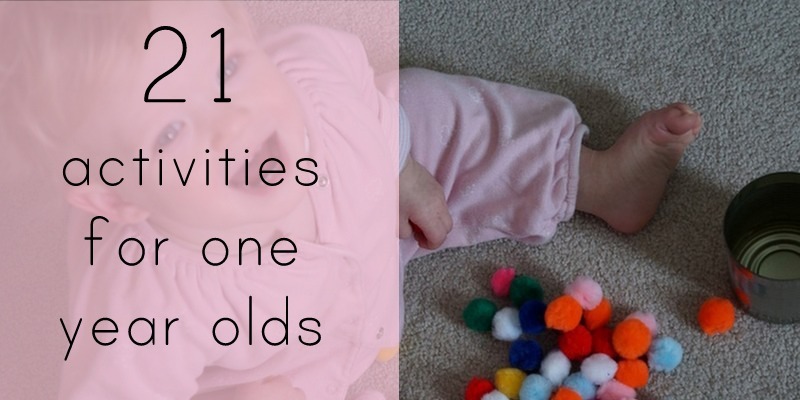 Just wondering what ages are your children that you will be using this list with? 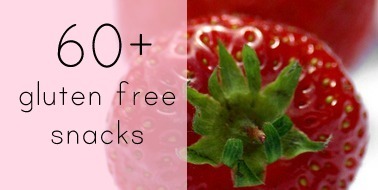 (I am trying to decide if I should do these this year or wait till next) Thanks again I really appreciate your blog. Hi Carrie, my son is almost 7 and my daughter will be 5 later this year. I listed the books “easiest to hardest” on the lists so it’s best to try to look inside and see what would be best for your children! I was wondering how you encorporate the memory work into your day. Also, do you use the suggested composers and divide them up across the year? With the artist as well? It seems to go over them so fast my head spins. I understand their reasoning though. I was just thinking about spreading them out like this and wondering if that was how you chose your selections of composer and artist to study. Ideally, we would do the 6 composers and 6 artists of the cycle and spread them out — I chose different composers simply because I have resources for others. I will try to do so in the future though, as I gain more resources on the ones from each cycle. We don’t work on the memory work each day. 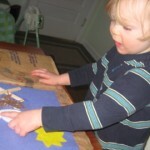 Our goal for CC is primarily the community, and then we review the memory work whenever we are in the car only. The only exception is geography, which I try to do 1-2x a week with dry erase markers or little candies on the maps. I justify doing CC in my mind because I love the community and I also believe the memory work/grammar presented is important. I do believe it will stick without review every day. I am primarily focused on history, math, geography. 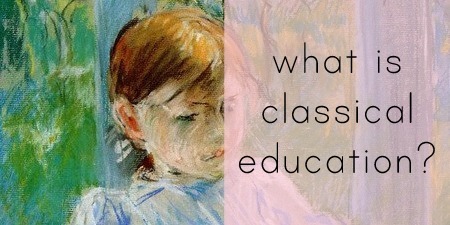 We will begin Latin extensively in 4th grade, as well as grammar, so the English and Latin aren’t of huge importance. I wish tutors could explain the science better and things weren’t so rushed. :) Blessings. I second this! Yes, please!